Unibody aluminum iMac design FTW! October 20, 2009: Apple goes big with its iMac redesign, introducing the first 27-inch all-in-one Mac. The aluminum unibody design looks so good that the iMac will remain virtually unchanged for years. While we’re used to it today, the 2009 iMac’s 27-inch display and 16:9 aspect ratio seemed opulent at the time. It even struck some users as being comically oversized back then. Although Apple previously offered its Cinema Display in sizes up to 30 inches, the majority of consumers did not own such monstrous flat-panel monitors. Like yesterday’s “Today in Apple history” installment — which described the first Macintosh with a built-in CD-ROM drive — the iMac’s 27-inch display marked a sea change for tech. The big, beautiful screen signaled that larger displays need no longer remain the domain of pampered professionals. Together with its LED-backlit widescreen display, the screen size confirmed Macs as the computer of choice for watching HD video. It was a natural progression for the company. 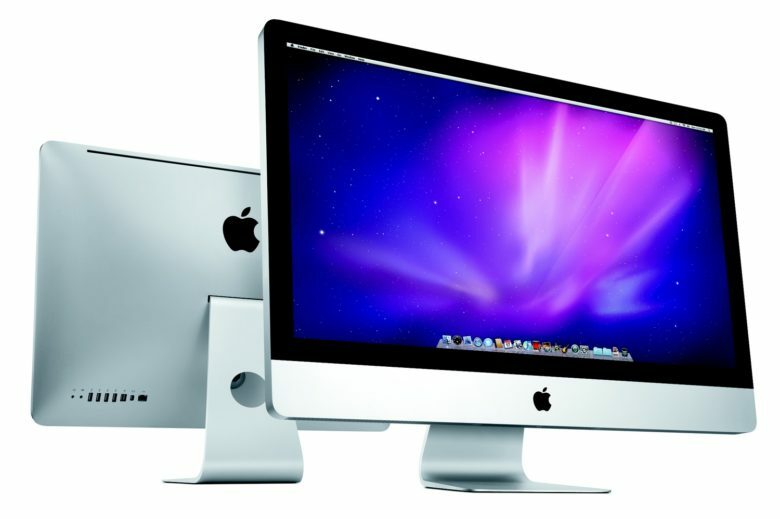 In terms of specs, the 2009 iMacs (Apple also produced a 21.5-inch version) offered the improvements you’d expect. With the exception of the base model, video card options switched to AMD. The processor and RAM got a big boost across the entire iMac range. From a production perspective, the biggest change for the iMac was undoubtedly the shift toward a “unibody” manufacturing process. Apple knows that most customers don’t care much about how the company manufactures its devices, so long as the results look good and work well. But with unibody, it was different. The move to unibody proved so significant that Apple design chief Jony Ive took to the stage in 2008 to talk about it. Unibody design allowed Apple to mill products from single blocks of aluminum. This inverted the traditional manufacturing process, by removing material rather than adding it during construction. Thus a single piece could replace multiple parts, offering manufacturing and design advantages. Ive and his colleagues started seriously looking at cutting-edge machining processes when they worked on the iPhone in 2005. Apple invested heavily in the technology in 2007. Cupertino even cut a deal with a Japanese manufacturer to buy every single CNC milling machine it could make for three years — up to 20,000 per year. The unibody design process made its debut on the 2008 MacBook Air. Then it filtered out to other Apple products including the iPhone, iPad and, yes, the iMac. The new Magic Mouse that accompanied the iMac continued this design aesthetic, with a distinct lack of buttons and moving parts. Using technology similar to the iPhone and the MacBook trackpad, it eschewed a scroll wheel for a hard, acrylic multitouch surface. It was the mouse Steve Jobs always wanted. Nearly a decade removed from the 2009 iMac, what strikes me today is how little has changed in the intervening years as far as design goes. Yes, the displays are better, the computers are thinner and the processors have been upgraded. But compared to the series of major redesigns that followed in the nine years after the iMac G3, it’s fair to say that with the October 2009 iMac, Apple found a design it could stick with. Did you buy this iMac model? How do you think it compares to the Macs that came before it as far as design goes? Leave your comments below.